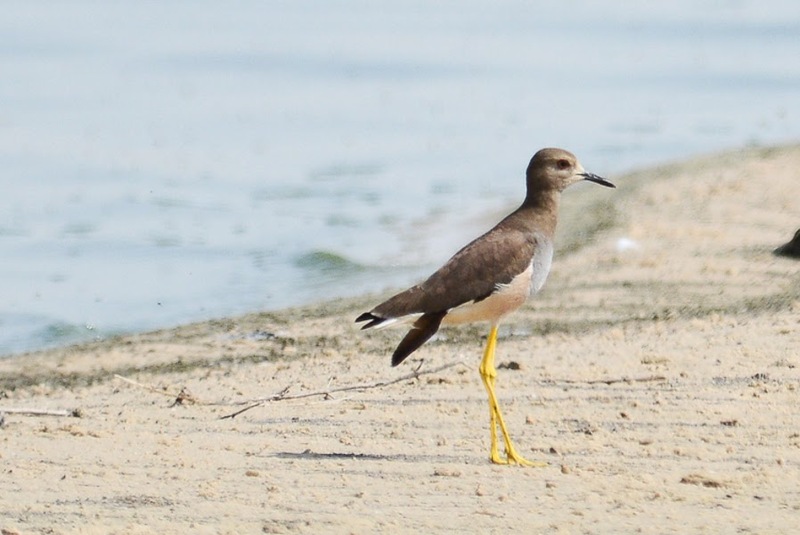 Andre went to Sabkhat Al Fasl on Friday 7 March and although he mentioned it was quiet he did manage to find a White-tailed Lapwing at the site. The bird was on the edge of the flooded Sabkhat and was seen from the road that follows the edge of the sabkha after the section where the road splits and the power-line road goes to the right to the power station and the road by the sabkha goes left. The bird was just where this roads become submerged in water. White-tailed Lapwing is a scare visitor to the Eastern Province although three birds were seen at Dhahran 22 February 2014, hopefully, indicating it will be a good spring for the species. Sabkhat Al Fasl is probably the best site in the province for seeing the species but this is still a good record. I thank Andre for allowing me to use his photo and sending me details of exactly where he saw the bird. Other birds seen at Sabkhat Al Fasl over the weekend include a couple of Woodchat Shrikes and both the Savi's Warblers from the previous weekend were still present calling in the same areas. Eurasian Reed Warbler numbers were higher than the previous weekend showing that migration of this species is well underway.